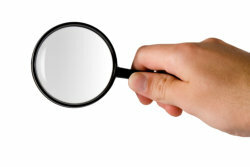 We know how important it is for companies to run background checks on new applicants. The process is necessary to safeguard the reputation of the business. The fingerprinting process happens to be an essential part of this and it is something we can provide. We give solutions for businesses concerning this matter by offering on-site fingerprinting services that get the job done quickly and efficiently. With the help of our highly trained and experienced professionals, at Background Check Mobile Group LLC, who expertly handle fingerprinting sessions, our clients would be able to know whether or not applicants have past criminal records. Let us aid you in this aspect of the hiring process today. All you have to do is give us a call at 419-210-4785 and request for assistance on this matter.